All Lymphedema Therapy services are provided by Dr. Michael Sharr, DPT,CLT, a practitioner with 32 years experience including clinical concentrations in Orthopedics, Sports Medicine, Spine Care, Industrial Rehab, Amputee Care, Wound Care, Geriatrics, Neuro and Lymphedema Management. Mike earned his Masters in Physical Therapy in 1984 through The US ARMY/Baylor University Program in Texas. Mike has practiced in a wide variety of clinical settings: Walter Reed Army Medical Center in Washington, D.C., Tuckahoe Orthopedics/Sports Medicine in Richmond, VA, Outpatient Rehab Supervisor at Horizon/Greenville, Director of Rehabilitation at St. Francis of New Castle, Grove City Medical Center, Countryside Convalescent Home in Mercer, Trinity Living Center in Grove City, Grove Manor Nursing Home located in Grove City, PAWoodland Place in Mercer, and St. Paul’s Homes in Greenville. Mike also served on faculty as Assistant Professor in the Doctor of Physical Therapy Program at Slippery Rock University. Mike also has a BS degree in Physical Education/Athletic Training from Slippery Rock University of Pennsylvania. He completed his DPT at Slippery Rock University in May 2006. He is certified in Lymphedema Therapy through the Academy of Lymphatic Studies and Lymphology Association of North America. Mike is currently contracted to provide Home Health services for VNA Alliance . Colleen Pickens, PTA, KT earned her Kinesiotherpist degree at Slippery Rock University in 1989, working for 10 years as a Registered Kinesiotherapist. In 1998, she completed her degree as a Physical Therapist Assistant at Penn State, Shenango, later adding her Ohio license. Colleen has practiced in a wide scope of rehabilitation settings. UPMC Inpatient Outpatient services in Greenville, Momentum Therapeutics in Greenville, Compass Therapeutics Home Heath Services, Sharon Regional Health Systems Inpatient and Outpatient Services, Blue Sky Long Term Facilities, PTA State PTA Program Lab Assistant, and VNA Alliance Home Health Services. Colleen currently is a Bone Health Peer Educator and Silver & Fit instructor. She is also working on getting her ASTM certification. In her free time, she likes to hike, bike, garden and work out. She especially enjoys playing with her grandchildren. Luke Perrine, PTA earned his Exercise Science degree at Slippery Rock University in 2014, working for 4 years as a personal trainer, program director, and fitness center manager. In 2018, he completed his degree as a Physical Therapist Assistant at Penn State Shenango. Luke grew up near the Mercer area and has clinical experience throughout Mercer and Lawrence Counties in both inpatient and outpatient rehabilitation. He also holds certifications in Strength and Conditioning, Silver Sneakers, and Delay the Disease for those with Parkinson's Disease. He has used his strength and conditioning to work with a number of athletes and sports teams from middle school through college age. 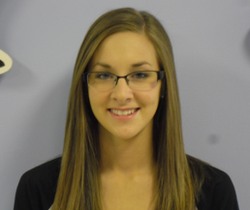 Evelyn has recently been promoted to iXL’s Medical Billing and Filing Manager. She shows great work ethic and support to those around her every day at here iXL Rehab and Fitness Center. 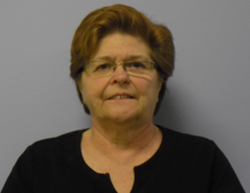 Evelyn also uses her years of expertise to work at auditing, record keeping, and office managing here at iXL. Debbie Harrington has been teaching yoga at IXL for over 10 years, but has practiced yoga for 17 years. Debbie completed her 200 hour RYT certification through Yoga Alliance. She has also certified with Judith Lasater in Relax and Renew Training in Restorative Yoga. Her other certifications include AFAA Yoga Essentials I & II and Silver&Fit Group Exercise Instructor. Megan has recently been promoted to iXL's Administrative Assistant / Public Outreach Specialist, she started at iXL in the year of 2013. Since then, Megan has also completed her Bachelors of Science in Public Health from Slippery Rock University in 2016. Megan is a very goal oriented person whom shows much respect to her job, her co-workers, and every day clients and patients here at iXL.